On Thursday I was one of many to attend the Bites & Bloggers Welcome Event to kick off BlogHer Food 2013 right here in Longhorn Land! Not only were there a lot of bites to taste and bloggers to meet, but, in true Texas fashion, there was a lot of sun and for some reason a lot of wind to go with it! I took my gal-pal Rachel with me as my +1 and we nibbled and mingled until we literally could not stand any more. It was such a pleasant evening out on the rooftop of the Whole Foods Market flagship store in beautiful downtown Austin. I posted some thoughts and photos on Twitter & Instagram throughout the evening, so if you're not following me already.... what are you waiting for!? 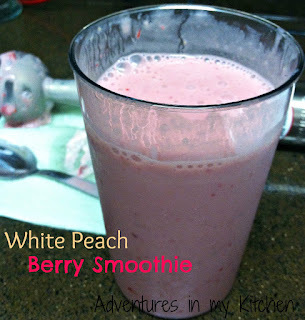 As for the White Peach Berry Smoothie, that was a lunchtime creation on Friday. One of the Bloggers I mingled with at Whole Foods was Sara from GoGingham. 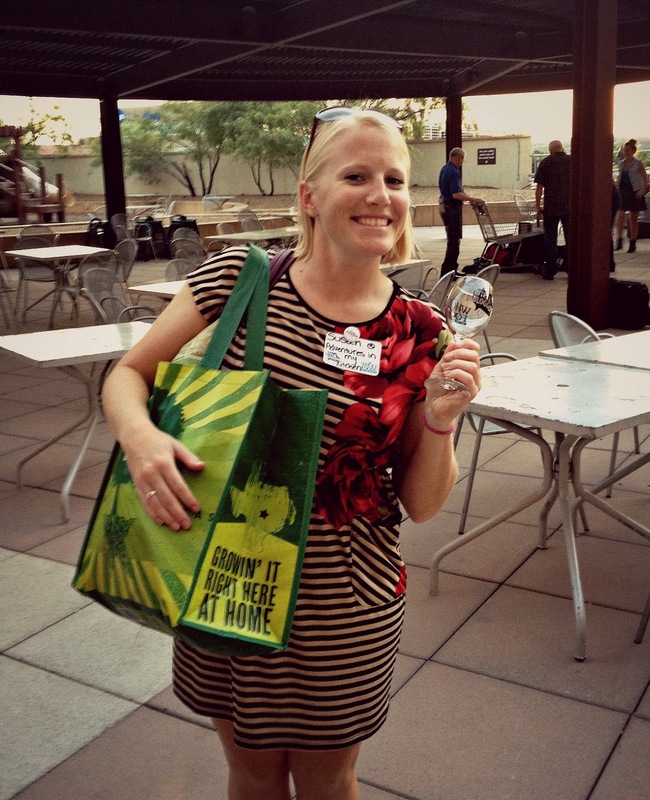 She was a workshop leader for "Use it or lose it! A preservation workshop". She tweeted on Friday morning to take your over-ripe fruit and throw it into a smoothie instead of tossing it away. So when I went in search of something for lunch, I saw some white peaches that were nearing their time sitting in my fridge so I decided to use 'em up and have a smoothie for lunch! It was delicious- I used fresh fruit, frozen fruit, fruit juice, and greek yogurt. I felt full when I had finished it, but I didn't feel weighed down and I definitely made a dent in my 5-a-day! Combine in a blender and blend until smooth- enjoy! I still have a few Ad spots left for June, click the 'Contact Me & Sponsorship' tab for more info! 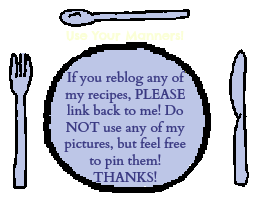 Also, keep up with me on Facebook, Instagram, Twitter, and BlogLovin!